We Get and Keep Your Pneumatic Tube Systems Flowing! Pneumatic Air Tube Systems are staples of the finance and pharmaceutical industries and provide convenience and security to their customers. Whether they are air-powered or track-driven, Green Technical Services is experienced in all aspects of these pneumatic air tube systems and not just the physical transport device. We also are experts in servicing and repairing pneumatic air tube system components including the audio, video and drawer components. Service is provided by GTS professional technicians, who arrive on site in a van stocked with our most commonly needed parts. This allows most jobs to be completed on the first visit, assuring minimal down time and maximum customer satisfaction. 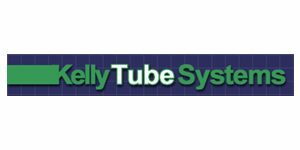 We service and repair most pneumatic air tube system manufacturers, including Eagle Pneumatic, Kelly Systems, Airlink, and Comco. © All rights reserved. Green Technical Services, Inc.